Manufacturer and Wholesaler of Eco Hydraulic Lifts. Our product range also comprises of Standard Passenger Elevators, Single Phase Home Elevators and Hydraulic Lifts. We feel proud to introduce ourselves as a noteworthy firm, engrossed in offering a wide range of Eco Hydraulic Lifts. Under experts' supervision, these lifts are efficiently manufactured using top quality components and modish techniques. The offered lifts are used at construction sites and industries for carrying heavy and bulky loads to different levels. Besides, we provide these lifts in varied technical specifications. Our vast industry knowledge enable us provide a wide assortment of Eco Hydraulic Lifts. 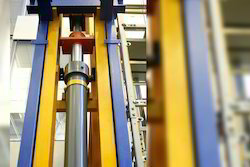 Our experienced team of professionals make use of modern technology and the superior grade basic materials to manufacture these lifts in line with set industry norms. The provided lifts are installed at various industries for loading and unloading of heavy goods. Further, these lifts are made available with us in enormous technical specifications. 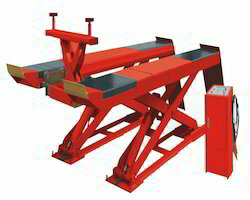 We are engaged in the manufacturing and supplying of Hydraulic Lift that is manufactured by using high-grade raw materials. The Hydraulic Lift is used for loading and unloading of various materials to different floor levels. 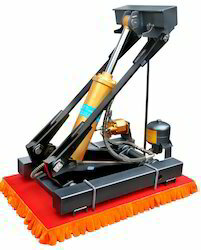 Hydraulic Lift is precisely designed in our advanced manufacturing unit. These Hydraulic Lifts are available in different sizes and capacities as per the need of the clients. These Hydraulic Lifts are appropriate for carrying heavy loads to higher heights. Looking for Eco Hydraulic Lifts ?